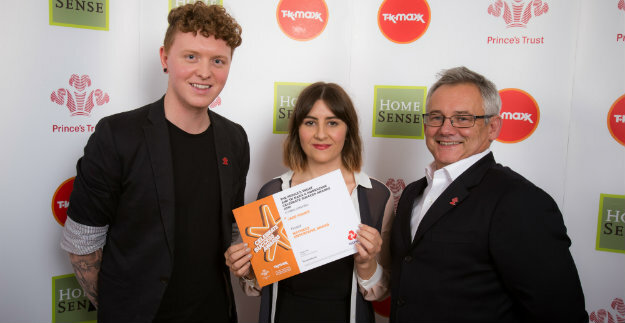 On 15th November 2016, we celebrated in style at The National Museum in Cardiff for The Prince's Trust and TK Maxx & HomeSense Celebrate Success Awards. 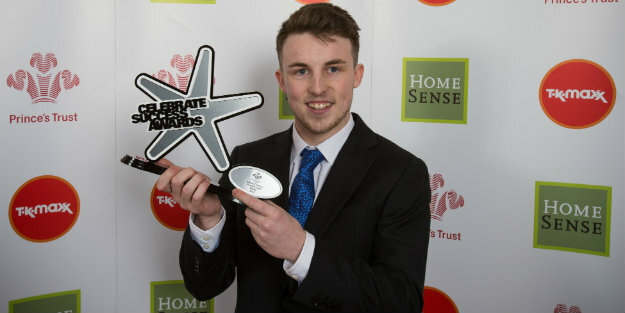 Each young person who has been nominated for Celebrate Success has a unique story. 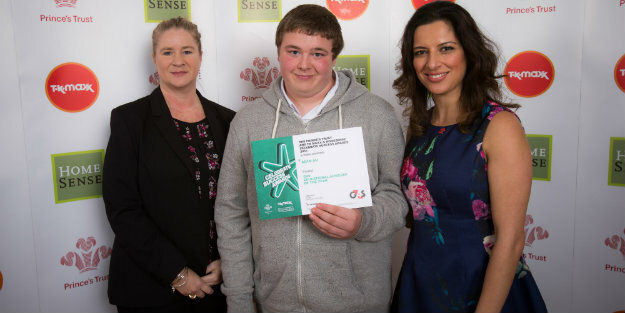 Be inspired by our Welsh Celebrate Success finalists. Alisha, 24, experienced a difficult childhood which led to the breakdown of relationships and behavioral issues both in and out of school. She was deliberately confrontational in lessons, started to truant regularly, and left without any qualifications. Then Alisha found herself homeless and was forced to move into a hostel. She was anxious, depressed and lacking self-esteem. By the age of 23, she had been unemployed for seven years. 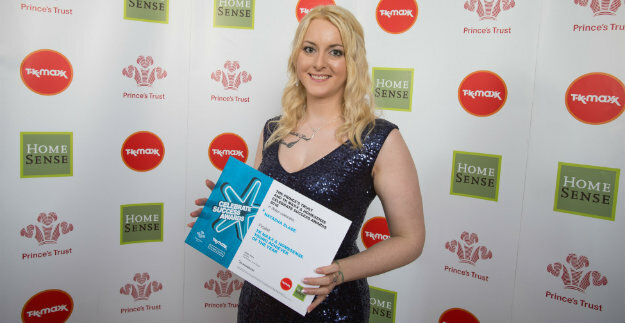 Then she joined The Prince’s Trust Get into Retail programme, in partnership with Tesco. With a can-do attitude, she was extremely helpful and respectful to customers and colleagues. The transformation was stark. On completion of the course, Tesco offered Alisha a contract. Alisha has turned her life around completely. She has a routine and a salary which has enabled her to move into a flat. Natasha, 26, grew up taking responsibility for the care of her mother, who suffered from osteoporosis. When she became the target of bullying her education was affected and she lost motivation towards school. Her attendance diminished and she dropped down to lower sets, ultimately underachieving significantly. Natasha moved on to college but her difficulties intensified - she was diagnosed with lupus four years ago. Natasha also went through a difficult relationship which affected her self-esteem. 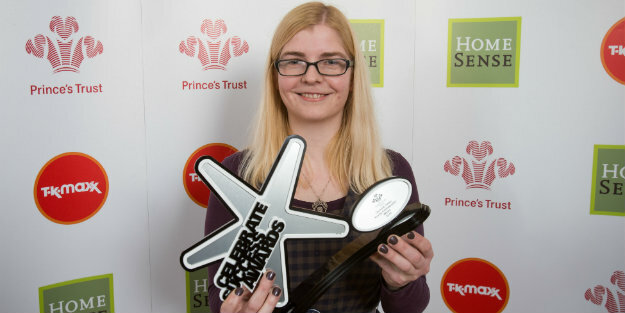 Through The Prince’s Trust Cymru, she enrolled on the Get into Customer Services programme and committed to it totally. She attended every day, despite feeling ill. Her confidence came back and, following the course she went for an interview and was successful in being appointed as an HSBC Customer Service Assistant. She is now also a union rep and loves helping colleagues with their problems. getting into employment, training or education and overcoming substantial barriers to transform their lives. The Young Ambassador of the Year award, sponsored by Trivallis, recognises young people who are exceptional Young Ambassadors for The Trust. These young people volunteer their time to share their personal experiences and inspire others. Despite having a degree, Gemma, 28, could not get started in her chosen career. She had taken on several unpaid internships but none of these led to a job as a designer. Gemma had lots of creative ideas and was frustrated that she could not put these into practice. Following the example of friends, she decided to set up on her own but had no idea where to start. 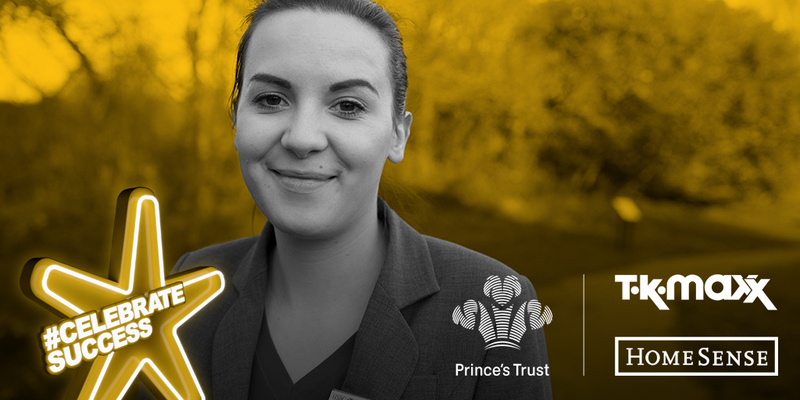 An online search led her to The Prince’s Trust and she embarked on the Enterprise programme. She embraced every aspect on offer and established Fabrikk Design. Her own experience motivated Gemma to remain involved with The Trust in order to help other young people as she had been helped. She became an Ambassador, attending over 50 events, speaking in public in support of The Trust. Now, whilst developing and expanding her own business, she is keen to take the training to become a Business Mentor for the Enterprise programme. Dylan began life undergoing multiple operations to correct a foot problem. Although he recovered from this and became a happy, sporty child, he later experienced bullying and had to give up playing rugby but persevered with his education. 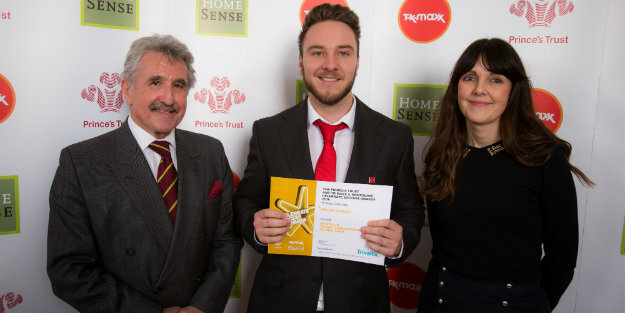 Dylan, 22, found The Prince’s Trust through his local Jobcentre Plus and was inspired to join the Get into programme. His confidence was restored and he grasped every opportunity as a chance for development. He wanted to stay involved with The Trust. He became a Young Ambassador and uses every opportunity to engage with young people and promote the work of The Trust. He takes part in events all over Wales where his enthusiasm makes him a particularly successful advocate. Dylan also volunteers as a football coach at his local youth team and has ambitions to progress this as a career, possibly moving to the USA in the future. Gomez, 19, experienced multiple barriers to success in his young life. Arriving in the UK at the age of 10, he struggled to learn English and progress with his education. At school he was bullied and later, diagnosed with vision and hearing problems. Gomez always loved sport and when he enrolled on The Prince’s Trust Get Started with Rugby programme. He was keen to learn all the associated skills such as leadership, coaching and first aid. 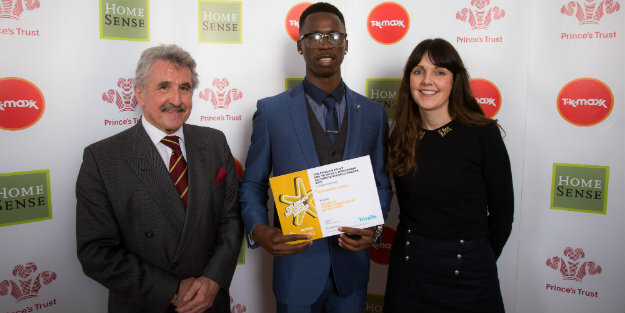 Inspired by his own experience, Gomez went on to become a Young Ambassador and promoted The Trust to other young people, showing them what it could do for them. Gomez made many friends in the course of his involvement with The Trust and his confidence soared. He is now aiming to go to university to study Law and Criminology. The Enterprise Award, sponsored by NatWest, recognises young people who have overcome barriers and achieved success in creating a sustainable business or a community or social enterprise. John, 26, has had a passion for music for as long as he can remember. After he completed his education, he lost confidence in his talent and drifted from job to job, unable to break into the competitive world of music. When he joined The Prince’s Trust Enterprise programme, he used a grant to purchase a portable PA rig, before receiving a business loan. Performing in local bars and coffee shops, he pursues his passion for writing, recording and playing his own music. He has appeared on many Welsh media including S4C, Radio Cymru, Showcase Wales and Radio Cardiff. Through his business Live Music Now, he travels around schools, care homes and hospitals, playing his music and engaging with people to boost their spirits. John has recently been offered a permanent residency at a school for students with social, emotional and behavioural difficulties. 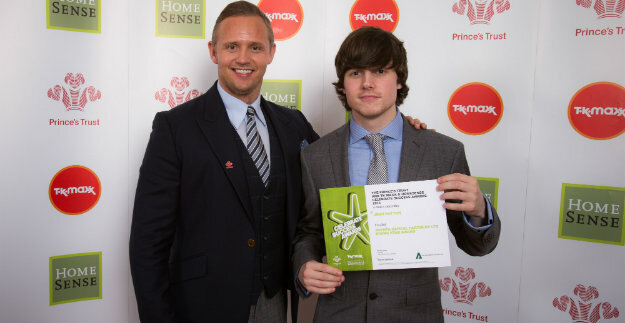 As a Prince’s Trust Young Ambassador he is committed to supporting the next generation of young people. Jade, 27, had always wanted to be self-employed but after leaving university with no career plans, she found herself sinking into depression. Despite her apprehension, Jade enrolled on The Prince’s Trust Enterprise programme. Her business involved creating products decorated with her illustrations. Using a grant from The Trust, she purchased stock printed with one of her designs and was matched with a business mentor. Jade now predominantly designs greeting cards which are currently stocked in over 40 stores in the UK and Europe. Jade is a Young Ambassador for The Trust and is enjoying the challenge of public speaking, something she never thought she would have the confidence to do. Jade plans to launch a personalised wedding stationery collection and is looking for premises where she can work and sell her products. 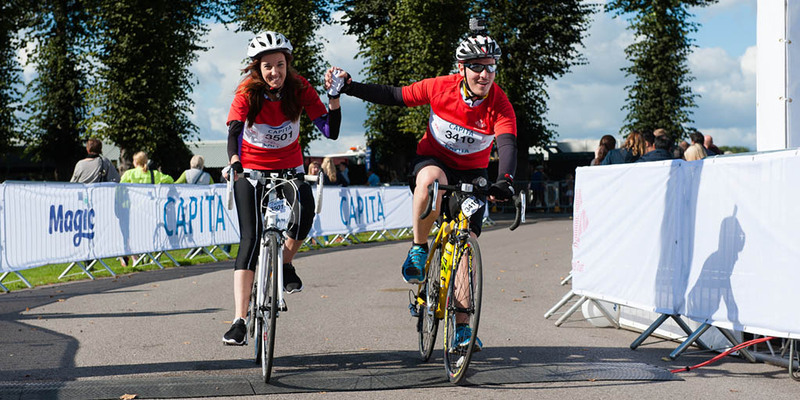 When Katriona, 28, was 13, her mother was left paralysed after a riding accident. Her mother motivated Katriona with her philosophy of working hard and doing the things she was passionate about. Katriona went to New Zealand and worked in a polo yard in exchange for polo lessons. Early on she could see that she could inspire others with her enthusiasm for the game. Returning to the UK, she was determined to set up her own business promoting polo. She visited Colombia and spent a year researching possible locations for polo holidays. Turning to The Prince’s Trust Enterprise programme, Katriona found confidence and expert help through her business mentor as well as financial support, and her business was launched. She refocused the business as an adventure holiday company, offering worldwide polo holidays, tournaments and training. 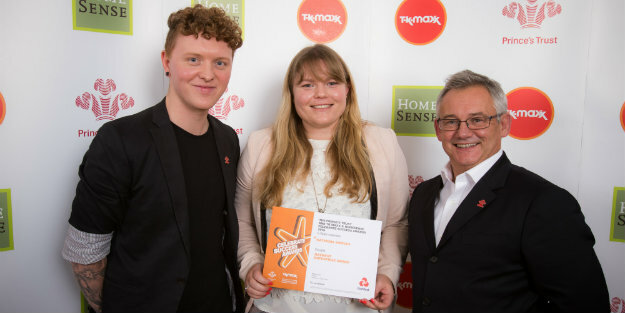 The Rising Star Award, sponsored by Aventa Capital Partners Ltd, recognises young people who, despite having faced substantial personal obstacles, are in sustainable employment as a result of a Prince’s Trust programme. Jamie, 21, had attention difficulties at school and a perforated ear drum meant he struggled with his hearing. He also experienced mental health problems and bullying. His frustration built up over time and an outburst of retaliation from Jamie resulted in exclusion from school. He finished his education without qualifications. Keen to progress to employment, he just needed a chance. It was then he heard of The Prince’s Trust. He was accepted on to the Get into Construction programme, which helps unemployed young people find a job in the construction industry. Although quiet and wary, his passion for practical work was clear and he steadily progressed through the programme and achieved his qualifications. On his work placement at Coatech he showed passion, commitment and a strong work ethic, which led to the offer of a permanent position with training. Jamie’s demeanour and outlook now reflect the transformation in his life. Josh, 26, dropped out of school at 14 after severe bullying. He left with no qualifications, lacked self-esteem and locked himself away from the world. When he summoned the courage to go to college, he again experienced bullying and withdrew from everything, becoming a recluse. He decided to move to Wales to make a fresh start. 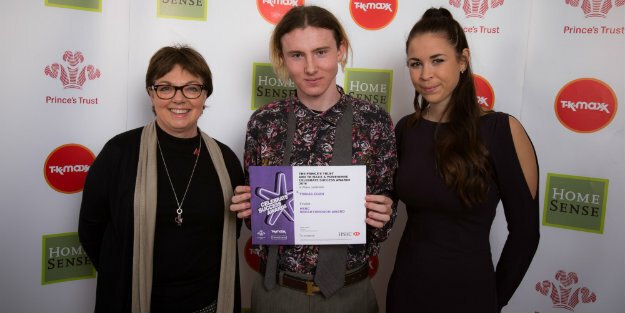 Although terrified at the prospect of meeting new people, he enrolled on The Prince’s Trust Fairbridge programme and began to open up to his peers and staff. He then went on to he Make Your Mark programme, delivered by Marks & Spencer, where he excelled and at the end of his placement, he was given a three month contract, which was subsequently extended. Josh’s confidence has gone from strength to strength and he is much more independent. He is positive about his future now and believes in himself. He has made friends and is finally enjoying life. 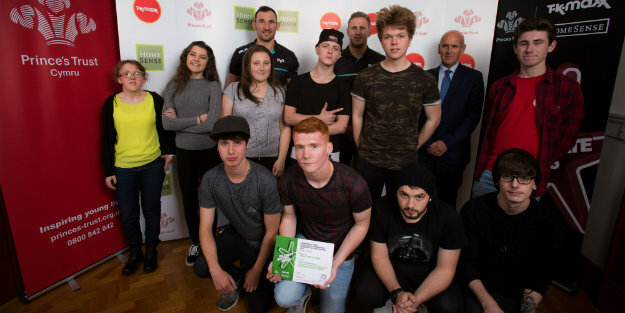 The Community Impact Award, sponsored by Care Forum Wales – Looked After Children Network, recognises the positive contribution young people make to their local community. 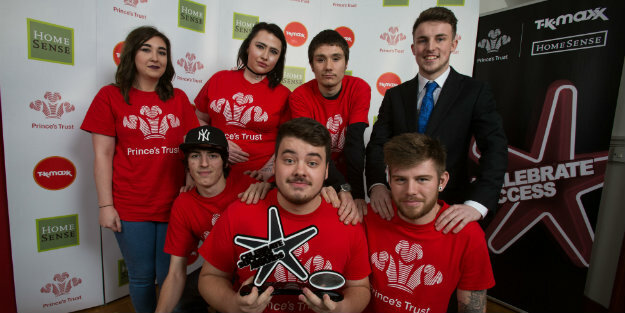 The young people on The Prince’s Trust Team programme shared low self-esteem and a lack of direction. Members of Team 1 knew how much the group could improve the facilities at the Adref homeless hostel and decided to focus on renovating the communal areas. Together, they worked out which materials they would need and who should be responsible for each task, developing planning and organisation skills. The group cleared the garden, planted flowers and with the help of a volunteer carpenter, built wooden plant tubs and a bird-table. Elsewhere, they cleaned the walls and primed them ready for paint, before decorating them. Adref staff and residents were thrilled with the results. All the young people in the Pre Foundation group lacked self-confidence and team skills, and were struggling with several issues. Aged between 16 and 19, they had under-achieved at school, struggling with a range of language and learning difficulties, varying levels of social skills and social anxiety. 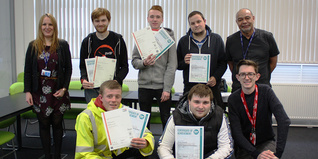 The Trust was supporting them through the xl (now known as Achieve) programme. During the programme, they chose to make a film about bullying, drawing on their own experiences. The team learnt about film making, how to use the equipment and how to produce a script and a story. Working together, they shared their experiences and ideas and took on different roles to produce the film. The students all grew in confidence and self-esteem, and developed skills that will help them to build a better future. When The Prince’s Trust Team 150 decided to take on the task of clearing only the outside area of the Port Talbot Sea Cadets as part of the Team programme, no-one could have predicted that they would end up transforming the whole venue.The young people, aged from 16 to 22, had all experienced issues including low self-esteem, educational underachievement, substance misuse and a lack of communication skills. The area outside the Sea Cadets had become overgrown and unsafe for use. The Team set about clearing the space and as they saw the results of their team-work, they became increasingly enthusiastic. Moving inside, not originally part of the plan, they repaired boats, completed maintenance jobs, painted the dormitories and fitted new carpets. The Sea Cadets were overwhelmed by the change in the building and in what had been achieved through teamwork in a few short weeks. The Breakthrough Award, sponsored by HSBC, recognises the progress of young people in overcoming barriers and developing new skills. Adrian, 20, lived with his family til the age of two. When his parents divorced and the family broke up, he moved away with his mum but difficult circumstances led to him being taken into care. This marked the start of a chaotic and unstable home life and Adrian spent his childhood moving around foster care. Involved with drugs and experiencing depression, he decided to return to Wales. He was put into a supported hostel, where he found the The Prince’s Trust Team programme. He made friends and was able to be himself. Every day brought a change for the better in Adrian and he was determined not to let his past affect his future. He has permanent employment at Wilkinson’s and his own flat. His long term goal is to have a house with his girlfriend and a family of his own. For Toby, 19, from Gwent, issues with drugs and alcohol led to strained relationships and resulted in him leaving the family home. Diagnosed with Asperger’s syndrome, he found social contact difficult and his lack of confidence only left him more worried about the future. Toby slid into depression. He wanted to go to college to study art, but was terrified by the thought of leaving the house. 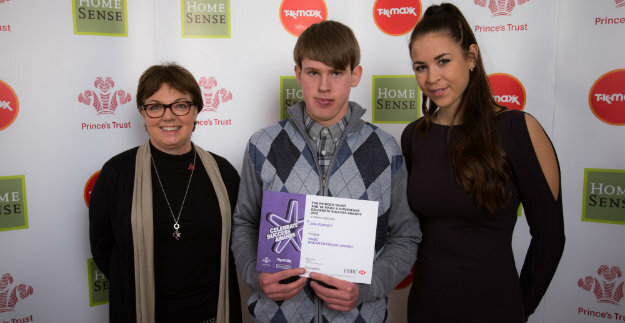 The effort required to overcome his difficulties was immense, but on The Prince’s Trust Fairbridge programme, Toby took part in all the activities and his life began to change. His fragile self-esteem grew and he began to trust other people. He made lots of friends and is now comfortable going to unfamiliar places. He has secured supported housing and is learning independent living skills. Toby started college in September, studying Art and Design and his ambition is to become an interior designer. A congenital heart condition meant Joe, 19, had open heart surgery three times as a child. It affects his energy levels and he becomes breathless easily. Multiple and complex difficulties overwhelmed Joe at school and he dropped out, experiencing panic attacks. As his agoraphobia reached a peak, he didn’t leave the house for 18 months. Desperate for help, he enrolled on The Prince’s Trust Get Started Rugby programme, delivered with Cardiff Blues. His heart condition meant he couldn’t play but he was keen to develop his coaching skills. Taking that first step out of the house was a huge barrier. The new surroundings and unfamiliar faces caused a panic attack, but overcoming his anxiety Joe made it to the classroom. As the course continued, he became more comfortable, his communication skills improved greatly and he developed more confidence daily. Joe now volunteers with The Blues Community Department. 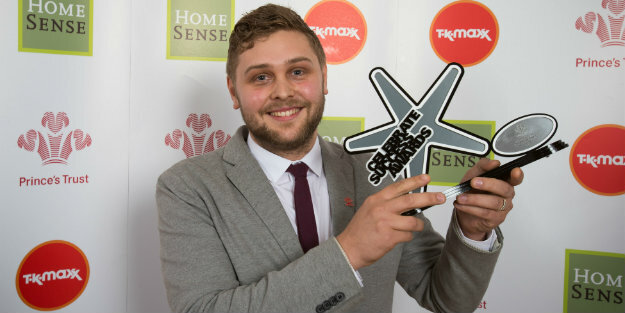 The Educational Achiever of the Year award, sponsored by G4S, recognises young people who have overcome barriers, developed new skills and improved their education prospects. 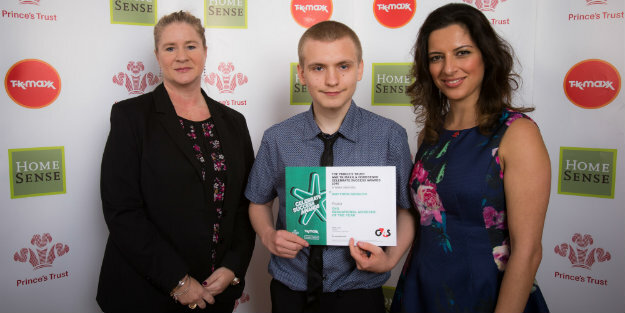 With a history of difficulties in school, including poor attendance, low attainment and low motivation, Alfie, 16, always felt he was struggling. Then, within three years he tragically lost both of his parents and school became a safe and familiar place for him. 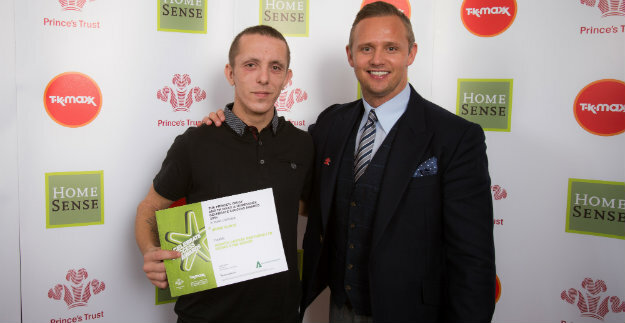 He joined The Prince’s Trust xl (now known as Achieve) programme and found a mode of learning that accommodated his difficulties and promoted his progress. His attendance was boosted to 99 per cent and he gained a Level 2 Award. Alfie went on to complete a successful work experience placement and was offered paid part-time work. The confidence he gained motivated him to apply for an apprenticeship. He feels positive about his future, actively pursuing employment and training opportunities. Alfie’s success on this course will make him an excellent ambassador and he has been invited back to the school to motivate and encourage younger pupils. Matthew, 17, was withdrawn and isolated at school. He couldn’t understand the social behaviour of other students and came across to staff and peers as unfriendly and aggressive. When both Matthew’s grandmother and his father passed away over a short period of time, he became extremely withdrawn. 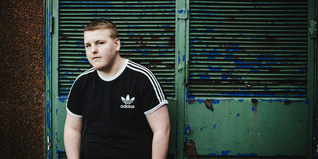 Matthew was slow to respond when he joined The Prince’s Trust xl (now known as Achieve) programme, showing a resistance to group discussions and activities. He needed the time and space the programme could offer him and gradually he gained the confidence to relate to others. He is now an open and friendly young man, has found a passion for horticulture and intends on making it his career. Adam’s life and learning were severely limited by his behaviour difficulties. At school, he was unable to make relationships with peers or staff, while at home his behaviour put enormous strain on his family. 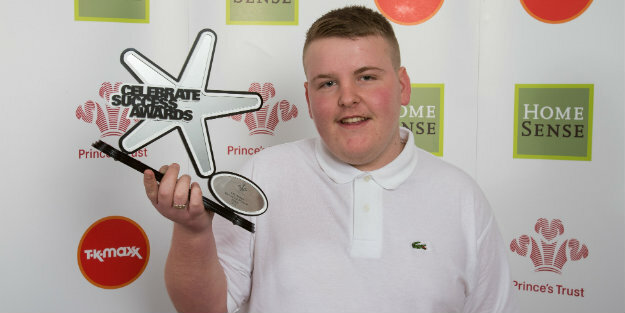 At first, Adam, 17, found it hard to respond to The Prince’s Trust xl (now known as Achieve) programme. He was nervous and unwilling to speak out but gradually he learned to relate to other people and to interpret social situations. He developed leadership skills and even came to act as mediator in disputes. Now he has established firm and loyal friendships. The aggression and violent outbursts which formerly characterised Adam’s behaviour are no longer apparent. After attending an Airbus Engineering Summer School, Adam has gone on to college.